drawmein: Ryan Ottley on 100 issues of Invincible! 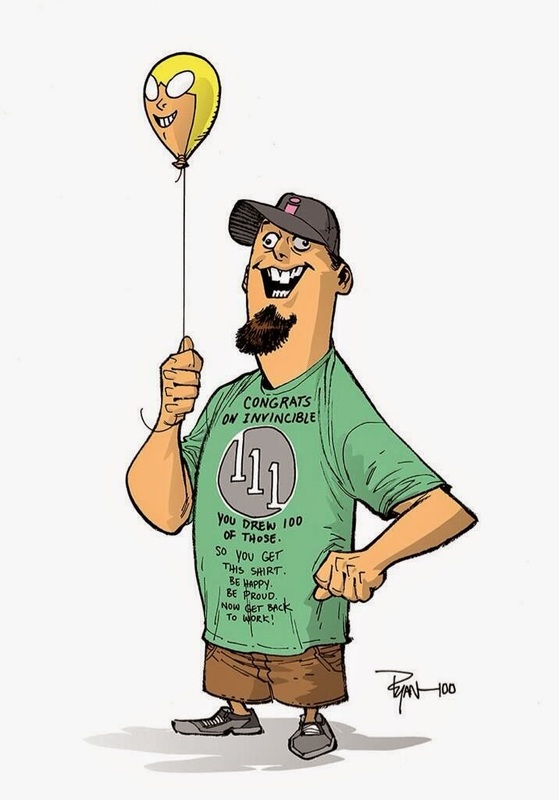 A congratulate shout out to Ryan Ottley on having drawn his 100th issue of Invincible. He recently finished issue #111 and posted this "selfie" on his twitter account. Invincible #111 is scheduled to hit shelves May 7th. Congrats Ryan!